LK Transport had its beginnings in 2001 as an airport based carrier. Initially, with one truck on the airport specialising in air freight and LCL sea freight shipments, the business has morphed into a medium sized metro transport company that can allow our customers to compete with global giants. LK Transport provides a service that is effectively ‘transport on demand’ utilising a hub and spoke system powered by a GPS management system that allows us to maintain efficiencies as well as keeping commitments. The Company has continued to grow year on year despite global challenges as we have continued to make sure that service is our primary driver. In 2017 Chris O’Driscoll purchased the business and continued in the same vein adding some extra service initiatives including Storage, Hiab Truck as well as Truck and Trailer capabilities. 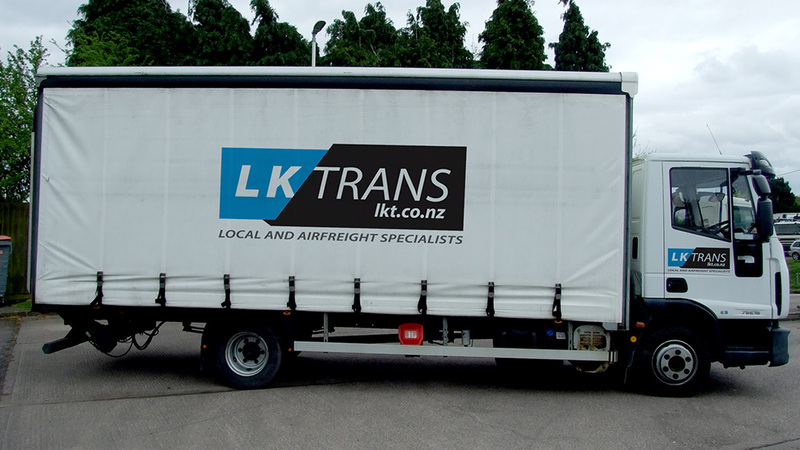 In August 2018 LK Transport opened up a branch in the South Island to allow our customers to have a level of comfort in both the North and South Island. Based in Treffers road in Wigram we are central to everything. LK Transport is likened to a courier company but with the vehicles on steroids. We run a fleet of not only vans and small trucks but have 4 and 6 wheelers as well as 8 wheelers and truck and trailers. We deliver in urgent mode all of the time ensuring all deadlines are met and adhered to and that could be a small carton through to a container load of freight. In Auckland we have an on demand daily service, going as far North as Silverdale, West to Kumeu and South to Pukekohe and in Christchurch we deliver on cycle to South to Rolleston and North to Amberley and have built a reputation that’s 2nd to none and a desire to maintain it. Some might say we are obsessed with service and they are right because we are but we call it keeping it simple and keeping in the LKT way.